Arthur Compton discovered that light can behave as a particle as well as a wave, and he coined the word photon to describe this newly identified particle of light. Compton’s discovery was one of the pivotal revelations that led physicists to conclude that objects once thought to be particles can behave like waves and objects once thought to be waves can behave like particles. Later, with his graduate student Luis Alvarez, Compton showed that cosmic rays contain positively charged particles. During World War 2, Compton played a crucial role in the development of the first atomic bombs. Arthur Compton was born in the town of Wooster, Ohio, USA, on September 10, 1892. His father, Elias Compton, was a philosophy lecturer and minister of the Presbyterian Church who became dean of the University of Wooster. His mother, Otelia Augspurger, was a college graduate and former school teacher who served on the board of managers of children’s homes. She was the Golden Rule Foundation’s American Mother of the Year in 1939. Arthur was their fourth child. His older sister Mary, whose school grades were higher than any of her brothers, became a missionary in India. His two older brothers Karl and Wilson enjoyed illustrious careers – Karl as a physicist and president of the Massachusetts Institute of Technology, and Wilson as a businessman, and president of Washington State University. From age 14, Arthur attended Wooster Preparatory School. His well-educated parents raised him in a house full of books and he soon developed a keen interest in science – especially astronomy and powered flight. At age 12, Arthur read an astronomy book and was hooked. His first telescope was not very powerful. He got a real thrill when he realized that a puzzlingly shaped heavenly body he was looking at was Saturn – his telescope was not powerful enough to resolve Saturn’s rings. At age 17, in 1910, Arthur pointed his homemade camera at Halley’s Comet and took a photograph of it. He treasured the photograph for the rest of his life. 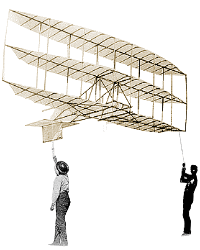 In 1907, age 15, Arthur became interested in the Wright Brothers’ powered flights that had taken place in 1903-05. He became so fascinated that he began designing and building model aircraft as large as himself from wooden frames covered with paper. Arthur Compton’s glider would have been similar to the one above. He built his with skis to allow smooth landings. By the time he was 16, working in a barn, he had built a full-sized glider – a triplane whose width was 27 feet and length 12 feet (8.2 x 3.7 meters). His building materials were pinewood, cloth, and piano wire. The total cost was less than $35, financed by doing chores for neighbors. He flew his glider successfully in spring 1909, age 16, and learned a great deal about aviation, but his parents were so worried he would be killed flying it, he agreed to stop. He disposed of his glider in a huge bonfire. In 1909, he published two papers on aeronautics: one in Fly and one in Aeronautics. Scientific American published a letter he sent them about airplanes. Arthur was torn between his love of science and his Christian faith, which was pulling him in the direction of becoming a missionary. His father, himself a church minister, told his son he would probably perform a greater service to Christianity as a scientist than a missionary. Arthur Compton enrolled for a Bachelor of Science degree at the University of Wooster (then known as the College of Wooster) and majored in Physics. He found himself drawn to experimental work rather than theory. In 1913, Compton left home for Princeton University, New Jersey, with the intention of doing graduate work in engineering. However, he spent his first year doing a Master’s Degree in Physics and decided to become a physicist. In 1914, he began working for a Ph.D. in Physics at Princeton. He graduated in 1916 with a thesis entitled: The intensity of X-ray reflection, and the distribution of the electrons in atoms. He then worked for a year as an instructor at the University of Minnesota, and two years in engineering for Westinghouse. At Westinghouse, he recognized his true vocation was pure science rather than commercial research. In 1919, Compton won a prestigious scholarship that allowed him to travel overseas to do postdoctoral research at the University of Cambridge’s famous Cavendish Laboratory. There he studied the scattering and absorption of gamma rays and became friends with the discoverer of the electron, J. J. Thomson, and the discoverer of the proton and the atomic nucleus, Ernest Rutherford, both of whom he admired greatly. In 1920, age 28, Compton returned to the USA, to be Head of Physics at Washington University in St. Louis, Missouri. Compton was tasked with building the tiny department into a top-class entity. In fact, Compton did much more than this. He played a major role in answering a question whose inconsistent answers had plagued scientists for centuries: is light a particle or a wave? Two brilliant 17th century scientists had taken opposing positions – Isaac Newton, who said light behaved like a particle, and Christian Huygens, who said light behaved like a wave. In the 19th century, the question seemed to have been settled. James Clerk Maxwell‘s famous equations established that light was a wave, and moreover, indicated that visible light was a small part of a larger electromagnetic spectrum. Maxwell’s work represented the zenith of classical physics. However, by the end of the 19th century, classical physics was in trouble. It could not, for example, predict the colors of light emitted by hot metal. Hot metal glows, emitting electromagnetic radiation whose color depends on the temperature. 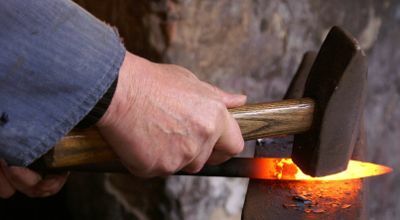 To solve the hot metal color problem, Max Planck proposed that when hot objects emit light, the light’s energy must always be a multiple of a certain number. With this proposal, Planck was able to bring physics theory back into agreement with real-life observations. Today we call the number Planck introduced into physics the Planck constant. Planck’s idea changed physics forever. If light energy comes only in multiples of a certain number, then other values of energy are forbidden. This was the beginning of the 20th century quantum revolution that changed physics dramatically and permanently. In 1905, Albert Einstein explained something called the photoelectric effect – the fact that shining ultraviolet light on metal causes the metal to eject some of its electrons. Einstein said the effect could be explained if light behaved like a particle and if particles of light carried an amount of energy given by the light’s frequency multiplied by Planck’s constant. If you think about it, this seems weird. In the same breath, Einstein is saying light has a frequency, which means it’s a wave, but he’s also saying it behaves like a particle. 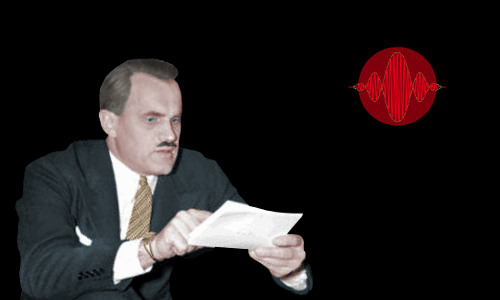 Today we call this particle of light a photon – the word was actually coined by Arthur Compton. The photoelectric effect. Photons of UV light carry the correct amount of energy to eject electrons from a metal. Eventually this “is light a wave or a particle?” weirdness became an intrinsic part of quantum theory. In fact, light can be either; its behavior depends on circumstances. Sometimes light’s wave-like character takes center stage and its particle-like character bows out, while at other times the roles reverse. However, Einstein’s 1905 proposal that light could behave like a particle was rejected by most scientists. Then, in 1923, Arthur Compton published results showing that Einstein had been right all along. Compton was working with very high energy light in the form of X-rays, observing how X-rays interacted with electrons. He was not trying to show Einstein was right. His purpose was to investigate how electrons are distributed in atoms, using principles similar to those used by Lawrence Bragg, who showed how the positions of atoms in solids could be deduced using X-rays. In 1922, Compton observed that X-rays were modified by interacting with electrons. Following interaction, X-rays had lower frequencies and longer wavelengths, meaning they had lost energy. When he examined the paths and energies of X-rays that had interacted with electrons, the only interpretation that made sense was that the X-rays and electrons had behaved like two colliding particles, very approximately like two pool balls colliding. Compton established that a single X-ray does not interact with several electrons. A single X-ray interacts with a single electron. Compton called these particles of light photons. 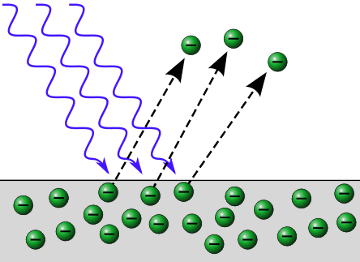 Compton’s experiment provided decisive proof that Einstein’s explanation of the photoelectric effect was correct – light could behave like a particle. Compton described his work in April 1923 to the American Physical Society, unleashing a storm of disbelief and controversy. where p is momentum, h is the Planck constant, ν is the frequency of the light, and c is the speed of light. In 1924, Louis de Broglie proposed that all matter has wave-like properties. In 1927, Clinton Davisson and J. J. Thomson’s son George Paget Thomson proved that electrons can behave like waves. And so wave-particle duality was born. Arthur Compton was awarded the 1927 Nobel Prize in Physics for his discovery of the Compton Effect. De Broglie was awarded the prize in 1929, and Clinton Davisson & George Paget Thomson in 1937. Today we know that in the quantum world of photons and electrons, whether something behaves as a wave or a particle depends on its environment. Compton first experimented with these cosmic rays in 1921, after Ernest Rutherford prompted him to think about the underlying reasons for radioactivity. Compton learned that Marie Curie had speculated that radium’s radioactivity was caused by it somehow capturing cosmic rays. Compton’s experiment tested Curie’s theory. Compton took a sample of radium to the bottom of the Grand Canyon, a place reached by fewer cosmic rays than places with higher elevations. The radium’s radioactivity did not change at all, indicating that radioactive elements were not made radioactive by cosmic rays. From the University of Chicago, where he had been appointed to a professorship in 1923, Compton organized expeditions to various locations on Earth to observe cosmic rays. With his family, he traveled 40,000 miles making observations as far apart as northern Canada and Australia and visiting Europe, India, and New Zealand. The teams discovered that the highest numbers of cosmic rays were observed at locations far from the earth’s magnetic equator. This proved that cosmic rays are largely made up of charged particles. In 1932, Compton’s graduate student Luis Alvarez built an array of Geiger counters to study cosmic rays. 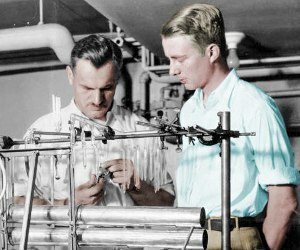 Arthur Compton and Luiz Alvarez with their cosmic ray counting equipment. In 1933, Alvarez and Compton published a paper in the Physical Review establishing that cosmic rays are positively charged particles. They made an error, however, in pointing to positrons rather than protons as the positively charged particles they had detected. Compton gave much of the credit for the work to his young graduate student. Compton played a key role in the development of the first nuclear weapons. British scientists told their American colleagues they believed an atomic bomb could be built in about three years. Early in 1941, Compton was appointed to lead a team of American scientists investigating whether this was realistic. Compton sought advice and worked with people such as Ernest Lawrence, Harold Urey, and Enrico Fermi. In October 1941, scientists drawn together by Compton to a meeting in Schenectady, New York, concluded that an atomic bomb was feasible within three and a half years. Compton decided to build the nuclear reactor at his own university in Chicago. A year later, on December 2, 1942, the world’s first self-sustaining nuclear chain reaction took place under the direction of Enrico Fermi in a squash court under the stands of Stagg Field, a University of Chicago football field. Compton was awarded the Medal of Merit for his wartime work. In 1916, while working for his Ph.D. at Princeton, Compton married Betty Charity McCloskey, a former classmate from Wooster. They had two sons, Arthur Jr., born in 1918, and John, born in 1928. John’s middle name was Joseph; he was named for J. J. Thomson. Arthur Alan grew up to join the government’s foreign service and John Joseph became a professor of philosophy at Vanderbilt University. In 1945, with his atomic weapons work complete, Compton returned to Washington University. In 1946, he became Washington University’s Chancellor, retiring from this role in 1954, age 62. He continued working as a physics professor until 1961. Arthur Compton died age 69 on March 15, 1962 in Berkeley, California, following a cerebral hemorrhage. He was buried in Wooster Cemetery in his hometown of Wooster, Ohio. "Arthur Compton." Famous Scientists. famousscientists.org. 31 Oct. 2016. Web.